The history of Indian Cinema goes back to the nineteenth century. In 1896, the very first films shot by the Lumiere Brothers were shown in Bombay (Present - Mumbai), But history was actually created when Harishchandra Sakharam Bhatavdekar popularly known as Save Dada, the still photographer, was so much influenced by the Lumiere Brothers’ production that he ordered a camera from England. His first film was shot at the Hanging Gardens in Mumbai, known as ‘The Wrestlers’. It was a simple recording of a wrestling match which was screened in 1899 and is considered as the first motion picture in the Indian Film Industry. In 1897, a European exhibitor first screened a selection of silent short films at the Victoria Public Hall in Madras. In Madras (Present- Chennai), The Electric Theatre was established for the screening of silent films. It was a favorite haunt of the British community in Madras. The theatre was shut down after a few years. This building is now part of the Post Office, Mr.Cohen built a Lyric Theatre in Anna Salai. This venue boasted a variety of events, including plays in English, Western classical music concerts and ballroom dances. Silent films were also screened as an additional attraction. The first cinema theater in India was Elphinstone Palace (Calcutta). Mr.Dhundiraj Govind Phalke, popularly known as Dadasaheb Phalke (Marathi) (30 April 1870 - 16 February 1944) was an Indian Producer, Director and Screenwriter known as the father of Indian cinema. Starting with his debut film, Raja Harishchandra in 1913, now known as India's first full-length feature, he made 95 movies and 26 short films in his career spanning 19 years, till 1937, including his most noted works: Mohini Bhasmasur (1913), Satyavan Savitri (1914), Lanka Dahan (1917), Shri Krishna Janma (1918) and Kaliya Mardan (1919).The Dadasaheb Phalke Award, for lifetime contribution to cinema, was instituted in his honour by the Government of India in 1969. The award is one of the most prestigious awards in Indian cinema. A postage stamp, bearing his face, was released by India Post to honour him in 1971. A variant, honorary Award from The Dadasaheb Phalke Academy Mumbai was Introduced in the year 2001, for lifetime achievement in Indian cinema. Mr.R.Nataraja Mudaliar an automobile spare parts merchant promoted India Film Company Limited in 1916 and built a silent film studio on Miller’s Road, Purasawalkkam, Madras. Interested in the new medium of cinema he had received training in Cinematography from Stewart Smith, a British cinematographer. Mudaliar’s first silent feature film was "Keechaka Vadam" (1917), so he was the first producer, director and cinematographer in Tamil Cinema and Tamil Nadu. The first Hindi / Urdu talkie picture ‘Alam Ara’ was created by Ardeshir Irani and screened in Bombay in 1931. It was the first talking (sound) picture in India. The release of Alam Ara started a new era in Indian Cinema. Phiroz Shah was the first music director of Alam Ara. The first song which was recorded for Alam Ara in 1931 was ‘De de khuda ke naam par’. It was sung by W.M. Khan. The first talking picture in tamil was "Kalidas" made in 1931 in Bombay, Indian mythological the first sound film ever to be made in South India. Produced by Ardeshir Irani and directed by H.M. Reddi, this film had T.P. Rajalakshmi as heroine. Even though this film is considered as the first Tamil talkie, it is not a hundred percent Tamil film, Rajalakshmi spoke and sang in Tamil, while the hero did in Telugu. Some others in Hindi. "Kalidas" is therefore the first Indian multi-lingual film! Mr.Samikannu Vincent of Coimbatore in 1935, want to make Tamil language movies. But he was an employee of the South Indian Railways in Trichy, purchased a film projector and silent films from the Frenchman Du Pont and set up a business as film exhibitor. He erected tents for screening films. His tent cinema became popular and he travelled all over the state with his mobile unit. In later years, he produced talkies and also built a cinema in Coimbatore. The Central Board of Film certification is under the Ministry of Information and Broadcasting and functions as a regulatory body. Its certificate is mandatory for public exhibition of films. It is tasked with "regulating the public exhibition of films under the provisions of the Cinematograph Act 1952". This Act was passed and came into effect only in 1920 from Chennai, Mumbai, Kolkata, Lahore (now in Pakistan) and Rangoon (now Yangon in Burma). The Central Board has its office at Mumbai but has regional offices at Bangalore, Mumbai, Chennai, Cuttack, Guwahati, Hyderabad, Kolcutta, New Delhi, Thiruvananthapuram. The Film and Television Institute of India was established in 1960 at pune by the Government of India with the object of imparting technical training in the art and craft of film-making and it provides in-service training to employees of Doordarshan. On October 1, 1974 the institue became a society registered under the Registration of societies Act of 1860. The film wing offers courses leading to Diploma in Cinema with specialization in areas like direction, cinematography, editing, sound recording and sound engineering. Student films are entered in various national and international film festivals. National Film Archive of India (NFAI) is a pioneer institution set up in 1964 at pune with the objective of acquisition and preservation of national cinema, film classification, documentation and research encouraging film technology and spread of film culture in the country. The Archive's 'Film Circle' programme exposes interested local audiences to the best films form India and abroad. It conducts short courses in film appreciation. The collection of more than 12,000 films from all over the world. NFAI has regional offices at Kolcutta, Bangalore and thiruvanthapuram. National Film Development Corporation (NFDC) was set up in 1980 to promote the production of good cinema. The Film Finance Corporation (FFC) was merged with the Indian Motion Picture Export Corporation (IMPEC). This corporation aims to make the quality of indian cinema. It encourages low-budget films of high quality. It lauched its programme of foreign co-productions with the film Gandhi. Then came Salaam bombay, Unni, Miss Beauty's Children and the financing of Maya Memsaheb all films that have been acclaimed. The corporation imports foreign films and exports Indian films. Directorate of Film Festivals under the Ministry of information and broadcasting, has the task of organizing International Film Festivals in India every year. It also arranges for the selection and entry of Indian films at film festivals held in other countries. The directorate organizes the National Film Awards annually. The National Awards for films, which were started as an annual incentive by the Government of India, for the making of artistic, competent and meaningful films. The Films Division of India was established in 1948 to articulate the energy of a newly independent nation. For more than six decades, the organization has relentlessly striven to maintain a record of the social, political and cultural imaginations with realities of the country on film. Cartoon and educational films are also brought out by the Films Division for various Ministries and Departments of Government. These films are distributed to Doordarshan and theatrical circuits. They are also screened on television networks and embassies abroad. In its archives, the Films Division of India holds more than 8000 titles on animation, documentaries and short films. National Centre of Films for Children and Young People (N'CYP) was earlier known as Children Film Society (CFS) which had been established in 1955 to provide 'value based' entertainment to children through the medium of films. Its scope having been enlarged to include 'young people', the CFS became the N'CYP produces, acquires, distributes and exhibits children's film. It also conducts biennial 'International Festivals' of children films. Producers are highly self-motivated individuals, who have the final responsibility for all aspects of a film's production. There are so many ways of being a Producer. Very often the Producer is the first person to become involved in a project, even before the writer, or they may be the agent-style Producer who focuses on the deal. Generally though, the Producer shepherds the film from inception to completion and beyond, starting long before the film-making process and continuing to talk about and sell the picture long after everyone else has gone on to other projects. A Top film makers work with the same people over and over again, which is why it is important for those who wish to make a career in the Production Office to gain respect by being a reliable, trustworthy and enthusiastic Production Assistant or Runner. The Producer's role is to turn story ideas into profitable cinematic entertainment and to persuade others to share in his or her commercial and creative vision. The Producer's responsibility is to the production company and the Executive Producers who are appointed to supervise the production on behalf of the Financiers and Distributors. All in all, the Producer is the person who must remember what the central vision and goal of the movie is and to be fiscally and creatively responsible for that. What is the Producer's job? Development - Producers are often responsible for coming up with the underlying premise of a production, or for selecting the screenplay. Producers secure the necessary rights, select the screenwriter and story editing team, raise the development financing and supervise the development process. Pre-production - Producers typically select and bring together the key members of the creative team, including the Director, Cinematographer & Production Designer and potential key cast members. They assist the Executive Producers to raise finance for the production and, once the initial finance is in place, they select other key production office personnel as well as the essential Heads of Departments. Producers also approve locations, studio hire, the final shooting script, production schedule and budget. More time and money spent in pre-production can reduce time and money wasting in production. Production - Producers are responsible for the day-to-day smooth operation of the production team. Producers are also in constant communication and consultation with the Director and other key creative personnel, on and off set. Producers approve all script changes and cost reports, continuing to serve as the primary point of contact for all production partners, investors and distributors. Post-production and marketing - Producers are expected to liaise with the Director and post-production departments, including editing - both picture and sound, music and visual effects. The Producer will deal with the finance and distribution companies in planning the marketing and distribution of the finished film. It is rare to find one Producer who has the expertise and vision to exercise personal decision-making authority across all four phases of production, but they are usually supported by a hand-picked production office team whose key people will have worked alongside the Producer on several film projects. Producers must be good businessmen, strategists, motivators, negotiators and creative visionaries, with the ability to spot and deal with potential problems before they materialise. They need an extensive knowledge of cinematic narrative and a thorough understanding of all the creative processes of filmmaking as they are in ultimate control of the overall planning of the production including sales and distribution. The Producer's responsibility for the project continues for as long as the film is shown globally. As the Producer will already have worked in the film industry for some considerable time they will have the necessary driving license and valid passport. There are no set qualifications for the grade of Producer - however, as the head of a team of both accounting and creative personnel, the Producer has to have an extensive understanding of the nature of film production as well as a strong grasp of business and financial issues. He/she must have experience of working in the film industry, preferably as part of the Production Team. Co-Producer is typically a Line or Join Producer who has also performed a substantial portion of the creative producing function. Alternatively, they may be the lead Producer from another production company that is co-producing the film, or a partner or corporate officer from the production entity producing the film. In rare cases, a Co-producer may also be the person who optioned, developed or packaged the project. In all instances, Co-producers are subordinate to the Producer. Occasionally, the title Co-producer is accorded to a producer who finds, options, develops, or packages the project, but does not own the rights, and who plays a less significant role in the physical production of the film. For example, Co-producers may be relatively new Producers who need to work with a more senior Producer in order to package, finance and deliver the finished film. It should be noted that if a project has more than one Producer, it does not mean that these individuals are Co-producers in the technical sense of the term. Co-Producer's responsibilities are enormously depending on which type of Co-producer they are. However, they always have less responsibility than the Producer for the completion of the film. •	Where the Co-Producer is also the Line Producer, he or she is responsible for all the business and logistical aspects during the main phase of film production. The key difference between this type of Co-producer and the Line Producer is that he or she also performs a significant part of the creative producing function, whether it be helping with casting, recruiting the Director, or hiring other key Heads of Department. •	Where the Co-Producer is partner or corporate officer of the production entity producing the film, he or she plays a key role in the development of the film project, assists with the physical production, or supervises post-production to enable the Producer to move on to another production. •	Where the Co-Producer is the lead Producer from another production entity that is producing the film as part of an international co-production, he or she will usually raise a significant portion of the budget for the film, but have less creative input than the lead Producer. In some cases Co-Producer is choose to be credited as Co-producer or Join Producer rather than as Executive Producer, in order to indicate that they played an important part in the physical production of the film. Co-Producer must have a thorough working knowledge of the creative and business processes of filmmaking, as well as an awareness of the current markets for different styles and genres of film. On a practical level they need to be highly organised strategic thinkers, who can negotiate, motivate, delegate and inspire. The exact skills required for this role depend on the specific function performed by the Co-producer. However, ideally they should possess production skills in the following areas: preparing a budget for the production; securing financial resources for the production process; controlling the overall planning of the production; ensuring compliance with regulations and codes of practice; selecting crew and suppliers to meet production requirements; identifying and selecting supporting artistes and contributors; controlling production expenditure; monitoring and controlling the progress of productions; and supervising the edit of a completed film. Co-producers and Join Producers are directly involved in production have a legal responsibility, under the Health and Safety at Work Act 1974, to prepare health and safety procedures for the workplace. 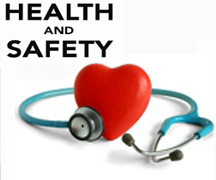 They may be required to identify hazards, to assess the risks, and to develop procedures to control the risks. They must also review the procedures and check that they are effective in the workplace. There is no predetermined route to becoming a Join or Co-producer, although a number of FE and HE colleges currently offer a variety of Film Producing courses. Co-producers typically have a number of years' experience in film, television and/or commercial production, and show a particular aptitude as potential producers, whether it is in development, line Producing or producing short films. The writing, packaging and financing of film ideas and scripts. This is the stage where an idea is fleshed out into a viable script. The producer of the movie will find a story, which may be from books, other films, true stories, original ideas, etc. 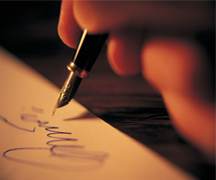 Once the theme, or underlying message, has been identified, a synopsis will be prepared. This is followed by a step outline, which breaks the story down into one-paragraph scenes, concentrating on the dramatic structure. Next, a treatment is prepared. This is a 25 to 30 page description of the story, its mood and characters, with little dialog and stage direction, often containing drawings to help visualize the key points. The screenplay is then written, and will be rewritten several times to improve the dramatization, clarity, structure, characters, dialog, and overall style.The previous steps and develop submitted screenplays which are assessed through a process called script coverage. The production is storyboarded and visualized with the help of illustrators and concept artists. A production budget will also be drawn up to cost the film. The Producer will hire people to fill some important technicians. In preproduction, the movie is designed and planned. The production company is created and a production office established. The production is storyboarded and visualized with the help of illustrators and concept artists. A production budget will also be drawn up to cost the film. The director and the Script writer, who is primarily responsible for the acting in the movie and managing the creative elements. The assistant director (AD) manages the shooting schedule and logistics of the production among other tasks. The production manager manages the production budget and production schedule. He also reports on behalf of the production office to the studio executives or financiers of the film. The director of photography (DOP) or cinematographercreates the photography of the film. He cooperates with the director, director of audiography (DOA) and assistant director (AD). The art directormanages the art department, which makes production sets, costumes and provides makeup & hair styling services. The production designer creates the look and feel of the production sets, costumes, makeup and hairstyles, working with the art director to create these elements. The storyboard artist creates visual images to help the director and production designer communicate their ideas to the production team. 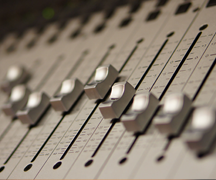 The production sound mixer manages the audio experience during the production stage of a film. He cooperates with the director, DOP, and AD. The sound designer creates new sounds and enhances the aural feel of the film with the help of Foley artists. The composer creates new music for the film. The choreographer creates and coordinates the movement and dance - typically for musicals. Some films also credit a fight choreographer. The process of setting up and shooting every scene in a film. Post Production Where all these shots are assembled, treated and mixed into a finished product. The business of filmmaking starts and finishes with the work of the Producers and of the Production Department. Without the strenuous efforts of these dynamic individuals there would be no films and no film industry. It is their role to foster a protected environment in which creative individuals can be brought together, and in which their talents may be cultivated. 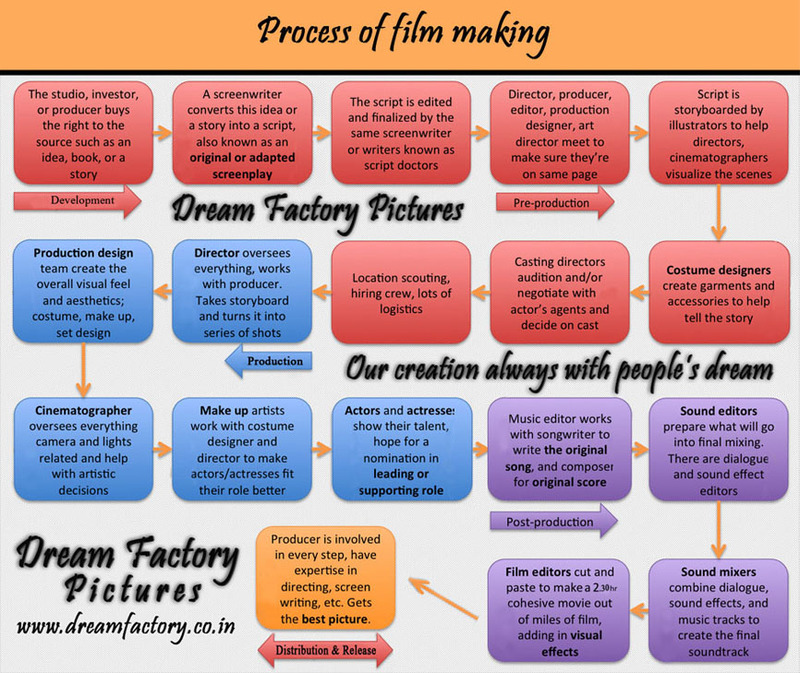 Film Production is a complex business which effectively requires the setting up, running, and closing-down of a substantially sized organisation, solely for the purpose of producing a single film. Therefore, those who work in the Production Department must be highly motivated, multi-tasking individuals, who have the creative vision, the business acumen, and the single-minded determination to do whatever it takes to see that the film is made to the best of everyone’s abilities. The Properties (Props) Department is responsible for the creation, operation and maintenance of all Properties used on feature films. The term 'props' refers to any moveable item, which is meant to be visible on film. "Mechanical Props” - which may move or illuminate Props, also include weapons, such as guns and knives, and greenery and foliage including trees and plants. Here the movie is actually created and shot. More crew will be recruited at this stage such as the property master, script supervisor, assistant directors, stills photographer, picture editor, and sound editors. These are just the most common roles in filmmaking and the production office will be free to create any unique blend of roles to suit a particular film. A typical day's shooting begins with an assistant director following the shooting schedule for the day. The film set is constructed and the props made ready. The lighting is rigged the camera and sound recording equipment are set up. At the same time the actors are ward robed in their costumes and attend the hair and make-up departments. The actors rehearse their script and blocking with the director. The picture and sound crews then rehearse with the actors. Finally, the action is shot with as many takes as the director sees fit. Each takes of a shot follows a slating procedure and is marked on a clapperboard, which helps the editor keep track of the TAKES in post-production. The clapperboard records the scene, take, director, director of photography, date, and name of the film written on the front, and is displayed for the camera. The clapperboard also serves the necessary function of providing a marker to sync up the film and the sound take. Sound is recorded on a separate apparatus from the film and they must be synched up in post-production. The director will then check to see if the shot was good or not. For productions using traditional photographic film, the unprocessed negative of the day's takes are sent to the film laboratory for processing overnight. Once processed, they return from the laboratory as dailies or rushes (film positives) and are viewed in the evening by the director, above the line crew, and sometimes, the cast. For productions using digital technologies, shots are downloaded and organized on a computer for display as dailies. When entire film is in the can, filmmaking lingo for the completion of the production phase, the production office normally arranges a wrap party to thank all the cast and crew for their efforts. Here the film is assembled by the film editor. 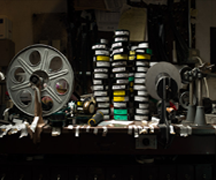 The modern use of video in the filmmaking process has resulted in two workflow variants: one using entirely film, the other using a mixture of film and video. In the film workflow, the original camera film (negative) is developed and copied to a one-light work print (positive) for editing with a mechanical editing machine. An edge code is recorded onto film to locate the position of picture frames. Since the development of editing software such as Final Cut Pro or Avid, the film workflow is used by very few productions. In the video workflow, the original camera negative is developed and telecined to video for editing with computer editing software. A timecode is recorded onto video tape to locate the position of picture frames. Production sound is also synced up to the video picture frames during this process. The first job of the film editor is to build a rough cut taken from sequences (or scenes) based on individual "takes" (shots). The purpose of the rough cut is to select and order the best shots. The next step is to create a fine cut by getting all the shots to flow smoothly in a seamless story. Trimming, the process of shortening scenes by a few minutes, seconds, or even frames, is done during this phase. After the fine cut has been screened and approved by the director and producer the picture is "locked," meaning no further changes are made. Next, the editor creates a negative cut list (using edge code) or an edit decision list (using timecode) either manually or automatically. These edit lists identify the source and the picture frame of each shot in the fine cut. Once the picture is locked, the film passes out of the hands of the editor to the sound department to build-up the sound track. The voice recordings are synchronised and the final sound mix is created. The sound mix combines sound effects, background sounds, ADR, dialogue, walla, and music. The sound track and picture are combined together, resulting in a low quality answer print of the movie. There are now two possible workflows to create the high quality release print depending on the recording medium: In the film workflow, the cut list that describes the film-based answer print is used to cut the original colour negative (OCN) and create a colour timed copy called the colour master positive or interpositive print. For all subsequent steps this effectively becomes the master copy. The next step is to create a one-light copy called the colour duplicate negative or internegative. It is from this that many copies of the final theatrical release print are made. Copying from the internegative is much simpler than copying from the interpositive directly because it is a one-light process; it also reduces wear-and-tear on the interpositive print. In the video workflow, the edit decision list that describes the video-based answer print is used to edit the original colour tape (OCT) and create a high quality colour master tape. For all subsequent steps this effectively becomes the master copy. The next step uses a film recorder to read the colour master tape and copy each video frame directly to film to create the final theatrical release print. Finally the film is previewed, normally by the target audience, and any feedback may result in further shooting or edits to the film. The process of selling this product to audiences, via the cinemas, retailers and rental firms. Film distribution involves launching and sustaining films in the marketplace. Because the film business is product driven, Film Distributors must connect each film they release with the widest possible audience. 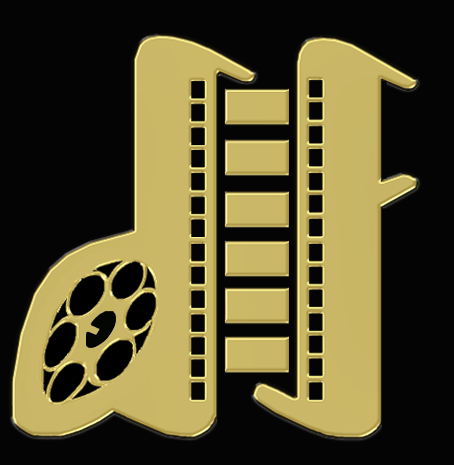 As every new title is distinctive and different, Distributors must be strategic and knowledgeable about promotion and publicity in order to entice audiences to see their films, utilizing successful film release plans, created in collaboration with film production and/or studio company personnel, marketing teams, publicity departments and exhibitors (cinema operators). Some film distribution companies are affiliated with Hollywood studios, and release studio products in tandem worldwide. 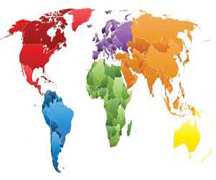 Unaffiliated film Distributors (Independents) primarily handle films financed outside the Hollywood system, which are usually country specific, i.e. they oversee films only in their home country. Regardless of affiliation, all Distributors are allowed to compete for films with available rights in such areas as theatrical, television, satellite, DVD, etc. This is the final stage, where the movie is released to cinemas or, occasionally, to DVD, VCD or VHS. The movie is duplicated as required for theatrical distribution. Press kits, posters, and other advertising materials are published and the movie is advertised. The movie will usually be launched with a launch party, press releases and interviews with the press, showings of the film at a press preview, and/or film festivals. It is also common to create a website to accompany the movie. The movie will play at selected cinemas and the DVD is typically released a few months later. The distribution rights for the movie and DVD are also usually sold for worldwide distribution. 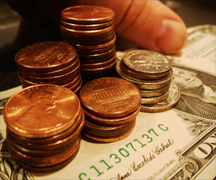 Any profits are divided between the distributor and the production company. Press and publicity plays a vital role in the marketing of films. Press campaigns are carefully planned in advance and encompass both Unit Publicity (carried out during the film shoot) and Distribution Publicity (arranged to coincide with the film's release). The cinemas which screen the film for the general public. The Exhibition provides the final link in the film production chain, and is responsible for bringing the finished product to its audience. It provides a vital service to the industry, as without faultless projection to the appropriate audience no film, however vast its budget, can be deemed a success. 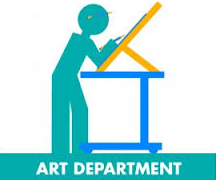 Exhibition Departments may be employed in a variety of different organizations, ranging from small, art-house cinemas to large multiplexes and from regional film festivals to national or international events. There are a limited number of formal training schemes in the India. Some larger cinema chains offer in-house training. Experience as an Assistant, or in other film-related occupations, provide entry into the sector. A keen interest in film is essential for practitioners in this Department. There are literally hundreds of different jobs in the Indian film industry, each one requiring a unique combination of specialist skills. 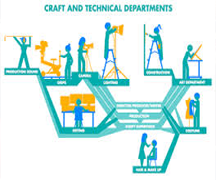 The majority of these roles are found within the film production sector, and production crews are divided into standard departmental hierarchies. Each department has definite tasks and allotted objectives at particular stages in the production process. The first decision that faces anyone wanting to work in film production is actually: which department do I want to work in? As is the case for any business, a film production's financial resources must be meticulously managed and controlled by skilled Accountants. 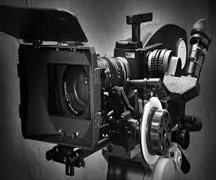 In the film industry their role is particularly critical, as large sums of money need to be accumulated and spent within a relatively short period of time, and ongoing changes to budgets occur throughout development, pre-production, production and post-production. An accounts department pays bills and invoices, according to the Business. Accounts departments save the company money wherever possible, and accountants must also maintain good relationships with employees and vendors. The accounting department helps the business remain profitable. Accountants generate reports that allow management to make strategic decisions about the direction of the organization. The screenplay provides a written blueprint for the entire film making process. The script development process starts either with a Screenwriter writing a 'spec' (self-financed) screenplay for sale to a production company, or with a Producer commissioning a Screenwriter to write a screenplay based on a concept, a true story, an existing screenwork (for example a cartoon or TV series), or another literary work (such as a story, novel, poem or play). An interesting, well-written, well-structured, and properly formatted screenplay does not guarantee a good finished film, but, without one, there is almost no possibility of success, however gifted the Director, cast and crew. Experienced Screenwriters and Production companies therefore spend many years developing stories and perfecting screenplays, and many more screenplays are developed than are actually produced. Developing a screenplay involves painstaking visualisation of every aspect of the finished film, without any certainty of the work being realised on screen. Although the Screenwriter or Screenwriters are central to the script writing process, like every other aspect of film making, development is collaborative work and typically requires the creative input of a number of other film professionals including: Script Readers, Writer's Agents, Producers, Development Executives, Script Editors, and, eventually, Directors, who are often involved in the final versions of the screenplay and shooting script. When projects are developed as part of a Screen Agency, Broadcaster, or National Lottery funded film scheme, Development Executives from these agencies and script development staff may also be involved in the process. 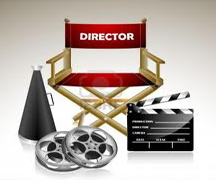 Perhaps the best known role within the Direction department is that of Director, the person who is ultimately responsible for the creative vision and overall style of a feature film. Within this department, the Director is also supported by a number of Assistant Directors, who ensure that the Director's artistic ambitions are achieved during the filming process by providing logistical, organizational and time-management support. Other roles in the Direction department include the Script Supervisor (who oversees the continuity and edit ability of each sequence as it is shot). The most junior role is that of Runner, which encompasses a wide range of general support duties, and which is also conventionally accepted as the entry-level position within not only the Direction department, but within the film Production sector as a whole. Good cinematography involves the creation of beautiful and/or arresting images on screen; it can also tell us more about a character or a location than any amount of dialogue or music. Shot composition, camera movement and the way a Director of Photography (DOP) chooses to manipulate light and shade, all combine to create each film's unique photographic signature. A great deal of thought, preparation and hard work is involved in moving and operating cameras in ways that enhance, and do not detract from, what is happening on screen. Camera crews work with extremely delicate, expensive equipment and are amongst the most highly skilled practitioners on any film crew. They work closely together to create seemingly invisible camera moves. 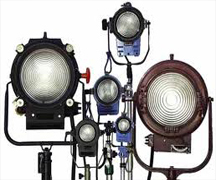 The Lighting department plays a crucial role in most film crews. Humanity lives by the light of the sun and, when it sets, artificial lights of different kinds and intensities are required. Although some productions may make use of daylight, for the most part it is necessary to use artificial light to achieve the visual image required. The different members of the Lighting crew are responsible, together with others such as the Camera crew or Designer, for the look and feel of the images that are captured on the screen. They set up a wide range of lighting equipment to achieve a variety of moods, atmospheres and effects, as well as helping to make the actors, performers and participants look right for their roles. Very few films are shot entirely in studio sets. Even the most fantastical stories may use real locations to bring characters and stories to life. Location Managers must understand the Director's vision for a film in order to find the most suitable locations. The search for exactly the right location can take months of research and scouting. Once the location has been found, careful negotiations must be carried out about costs, access, noise, parking and permissions. On big films involving many locations, excellent logistical expertise is required of the entire Location department. Assistant Location Managers provide back up for the Location Manager and are responsible for producing Movement Orders (directions to locations which are distributed daily with call sheets) for the cast and crew. On bigger films, Location Assistants are also employed to help with many of the physical tasks, as well as Unit Managers who organize all vehicles, and liaise between the crew and location owners, residents or landlords to keep the shoot running smoothly. Location Managers must combine the creative ability to visualize a Director's ideas with excellent organizational skills. The other members of the Location department should also be well organized and good communicators. They must all be experienced and confident drivers. Films can be located anywhere; creating the visual world or setting for a film is the role of the Art Department. The look of sets or locations transports audiences into the world of the story, and is an essential element in making films convincing and evocative. These settings are rarely left to chance by film makers; a great deal of work and imagination goes into constructing appropriate backdrops to any story. The Art Department usually employs the largest number of people on any film crew. On big budget fantasy, period drama or sci-fi films, the Art Department Offices, and Drawing and Construction Studios can occupy a vast area and employ hundreds of talented people. A work of art, artwork, art piece, piece of art or art object is an aesthetic physical item or artistic creation. Apart from "work of art", which may be used of any work regarded as art in its widest sense, including works from literature and music, these terms apply principally to tangible, portable forms of visual art. Construction Department workers play a vital role in determining the look of films: They are responsible for building, painting and plastering all the sets required for productions. They work closely with the Art and Design Department to ensure that the Director's and the Production Designer's ideas are visually realised on sets. The Construction Department is overseen by the Construction Manager, who is responsible for ensuring that all the required work is completed to deadline, within budget, and to the specifications set by the Production Designer. Once appointed, Construction Managers are responsible for hiring in the required number of Carpenters, Painters, Riggers and Plasterers, as well as for co-ordinating the purchase of all the necessary materials and tools. Good casting is vital if films are to resonate with audiences. Ensuring that the most suitable actors are cast requires exhaustive knowledge of the available talent combined with the creative ability to imagine how the right actor can bring a character to life on screen. Directors often work with the same Casting Director on many films, entrusting their taste, imagination and ability to deliver the best possible casts. Depending on the style of the film, Directors may be prepared to take creative risks by using non professional actors; this can require months of research and auditioning by Casting Directors. They also play a crucial role in contacting A-List stars and negotiating deals. Casting Directors work tirelessly to help Directors to achieve their ideal cast. Casting agencies range in size from big established companies, employing a number of Casting Associates, Assistants, Runners and Receptionists, to small, one or two person operations that hire in support staff during their busiest periods. 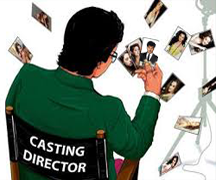 Casting Directors need a vast knowledge of a wide range of actors, and an understanding of their abilities, as well as a thorough appreciation of changing talent trends within the film industry. Acquiring a reputation as a respected Casting Director takes dedication and commitment, a strong instinct for acting talent and many years of hard work. Film Actors work with the Director to create believable characters. They must be able to learn their lines quickly, and to retain their meaning and inflection, while sometimes repeating the same scene many times over, for re-takes, and while scenes are shot from different angles. 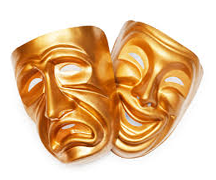 Actors should also know their fellow Actors' lines, so that they can respond to them accurately and appropriately. They need to remember their exact positions and movements at any given time during the performance, to assist with continuity. They must also be able to continually hit their marks on set, without looking down to locate them. Actors must be infinitely adaptable, as they may find themselves portraying many different characters over a short period of time. They must be aware that others contribute to their characterisation, e.g., those working in the Make Up, Costume, and Design teams, and that they may be serviced by a host of others in terms of transport, catering, etc. The Hair and Make-up Department is responsible for the design, application, continuity and care of hair and make-up during feature film production. They are a key component in the overall design of a film. "It is wonderful to be able to create a character and complete someone, but this is not a 9-5 job by any means - it's a lifestyle. 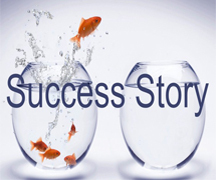 Often you come off a project and if you're lucky, go straight into the next one. It's a contacts business so you want to stay in work for as long as you can. You have to fit in with an awful lot of people when you're making a film. 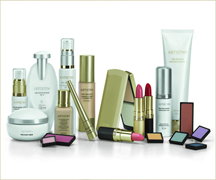 Hair and makeup is an important part of the process - but it is only a part." •You might have a lot of great ideas of how someone should look on the screen when doing a project. But when it comes down to it, you want to do something as close to the way the director wants it as you can. But that doesn't mean you shouldn't make your ideas known. 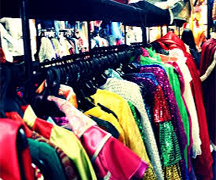 The Costume Department is responsible for the design, fitting, hire, purchase, manufacture, continuity and care of all costume items on feature films. The term 'Costume' refers to the clothes that the Actors wear and these differ enormously from production to production, ranging from contemporary urban fashion to period ball-gowns, and even wetsuits. The Costume Department is also responsible for jewellery, footwear, corsetry, hosiery, millinery and sometimes wig-work. Costume is integral in defining the overall 'look' of the film. It provides the audience with information about the period, culture and society the Actors inhabit and, on a more subtle level, the underlying themes of the film itself. Film crews work long hours and need to eat well. 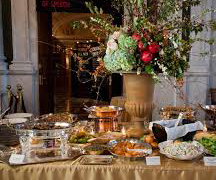 On sets or locations, the standard daily meals are breakfast, lunch and dinner, plus tea or snacks if the crew is required to work late into the evening. Catering is provided by specialist companies who drive catering trucks packed with food and a range of equipment including ovens, extraction fans, fridges, gas and water, to each Unit Base. On big films, these trucks can be 35ft in length and weigh up to 8 tons. Catering companies vary in size; the biggest have as many as 20 trucks, employ hundreds of staff and have their own garage for maintaining their vehicles. 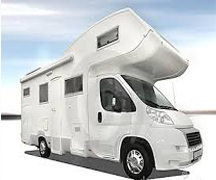 The smallest comprise of one or two individuals who prepare the menus, buy, cook and serve the food, make teas and coffees, and clean and drive the truck to and from the location. Music serves many different purposes in feature films. It may be the main focus, as in musicals, or it can play a part in the drama, e.g., as something that a character hears, or an on screen performance. Film scores can also be used to help define the characters, location, period and ethnicity of films. An excellent historical survey dealing mainly with the move from silent to sound film. Contains a penetrating section on the aesthetics of the sound film. Music establishes the atmosphere, intensifies or relaxes the pace of a film, and generates an emotional response. Most feature films have some original music written for the soundtrack. 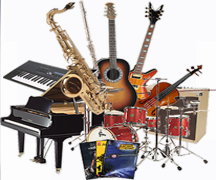 Many also use music obtained from other sources. Once film shoots have wrapped (been completed) the Post Production Sound Department begin work on constructing the sonic identity of the film. This involves a variety of work, ranging from creating the noises of giant explosions or car crashes to the art of adding subtle sounds that enrich the language and feeling of films. Recording all sound on set or on location is the work of the Production Sound Crew which includes Production Sound Mixers, Boom Operators, and Sound Assistants; on bigger films, Sound Trainees may also be employed. Although film is considered a primarily visual medium, much of the storytelling and emotional resonance of a script is conveyed through dialogue. Ensuring that the dialogue recorded during film shoots is suitably clear is a complex job; most film sets are challenging for the Sound Department as there are often unwanted noises to deal with, or the desired camera shots hamper the placing of microphones. Although it is sometimes easier to re-record dialogue after the shoot (post-syncing), most actors and Directors prefer to use the sound captured on set or location. Production Sound Crews also record atmosphere (without dialogue) or "wild" tracks on set or on location to assist the Post Production Sound department during the editing process. Post Production is the term for the final stage in film making in which the raw material (shot by the Camera crew and recorded by the Production Sound crew) is edited together to form the completed film. The processes involved in Post Production include: picture editing, sound editing, composing and recording the score, music editing, adding visual special effects, adding audio sound effects such as Automated Dialogue Replacement (ADR), Foley (Post-synchronised sound effects)*, sound design*, sound mixing*, colour grading, titles design, and negative cutting. Post Production Sound Once film shoots have wrapped (been completed) the Post Production Sound Department begin work on constructing the sonic identity of the film. This involves a variety of work, ranging from creating the noises of giant explosions or car crashes to the art of adding subtle sounds that enrich the language and feeling of films. The Transport Department provides crucial support to a film production. Even the lowest budget feature is likely to require at least one person to oversee the transport of cast, crew and equipment to the location of the film shoot. In the case of a very big budget film produced outside the India, the demands placed on the Transport Department are huge: equipment must be packed and shipped to multiple locations in the India or overseas; travel permits must be sorted out; complex itineraries for the hundreds of cast and crew must be arranged; and support vehicles such as mobile production offices, artist caravans and mobile toilets, must be hired. Given the time constraints of a film shoot, everything and everybody must arrive at exactly the right time - if one of the cast is left at the airport, it can prove a very costly mistake. Goal Setting, Investing In Learning, Investing In Good Tools and Apply What You Learn. The most successful filmmakers are not always the most knowledgeable ones. They are the ones who put action to what they learnt. They do, not talk about doing. Filmmaking is a competitive business. It takes passion, commitment and talent to succeed, and a little friendly advice at the right time can come in handy too. We've interviewed dozens of professionals who have built a career in the industry and asked them how they did it, what they think about their jobs and what advice they have for people trying to break in now. But everybody know that there is no formula for success in film industry except Hardwork and Best Team, so success is always behind the best team and hardwork. .